The inlet was on fire with schools of blitzing menhaden that were the size of your flip flop. Drop them out the back and just hold on! 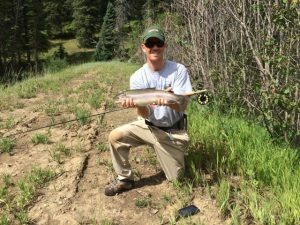 Several species of sharks and bull reds all in the mix. 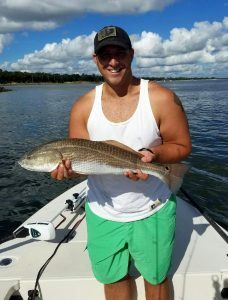 Larry had never been saltwater fly fishing and decided to give redfish a shot. Found lots of small schools who were largely indifferent to us and would lazily cruise by the boat. Patience was rewarded and we put reds in the boat with a black and purple mullet fly. Larry welcome to a new addiction! Tim decided to make inshore fishing part of his visit to Charleston. 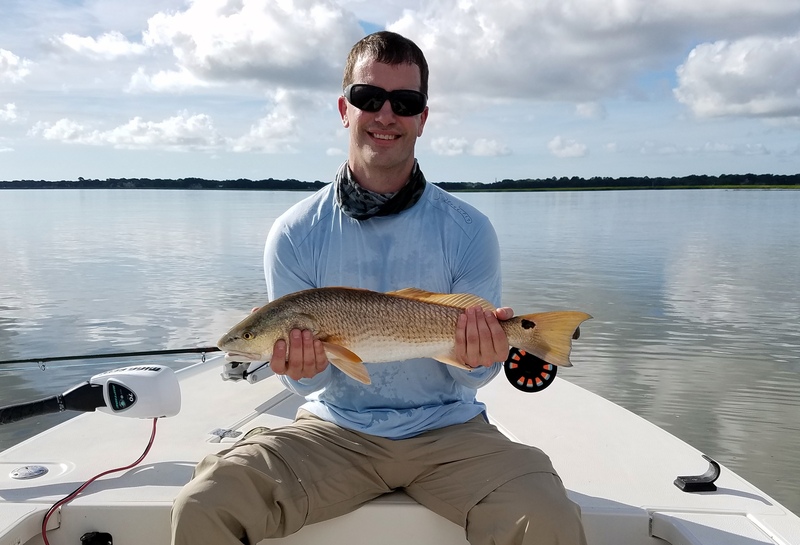 Caught a redfish on the first cast and things continued to roll from there! Found reds that would eat mud minnows under a poppping cork, cracked blue crab and fresh chunks of menhaden. 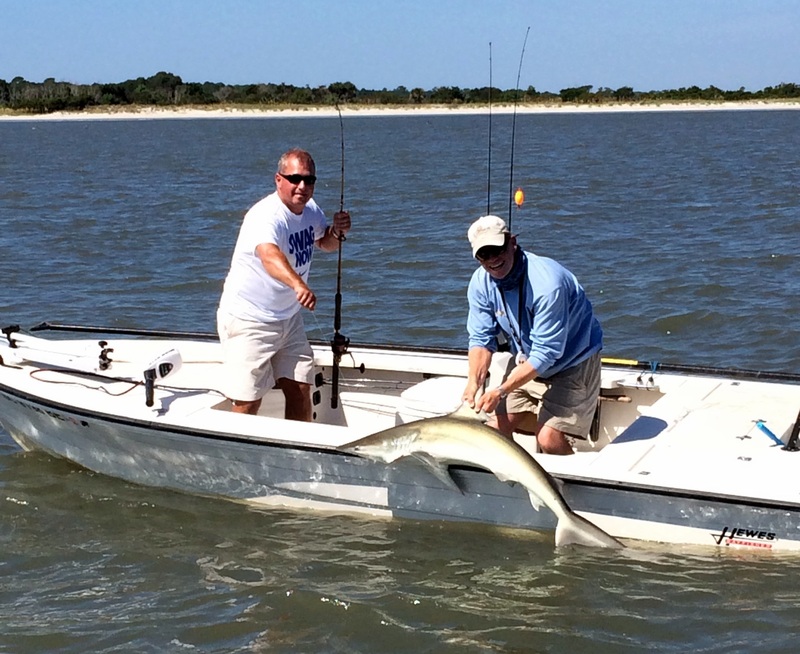 Sunny days and happy fish…can’t beat it. 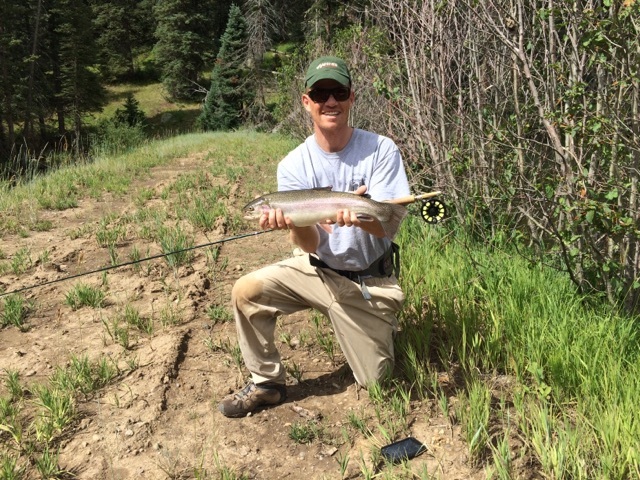 Spent last week flyfishing in the mountains of Colorado and New Mexico. Lots of rainbow and brown trout happily eating dry flies with nymphs rigged underneath. Bring on the redfish!